The picture pattern worksheets consist of repeated patterns, growing patterns, sizes, shapes, and color patterns. Besides this, these have equivalent patterns, cut-paste activities and much more. 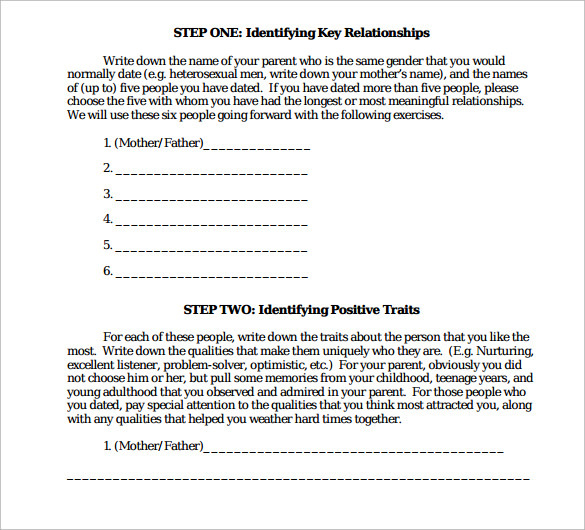 The patterning worksheets are made a part of the school students’ syllabi. This is because the teachers want their students to learn skills of patterns. You may like Time Worksheets. It supports formats like pdf and word. They also want their pupils to distinguish among the various rules to draw perfect patterns. The significant role of patterning worksheets in this regard cannot be ignored. Also these support the students to learn multiple concepts of mathematics. Here the patterning worksheets have been included so that the students get the idea of how much useful these are in their day to day lives. 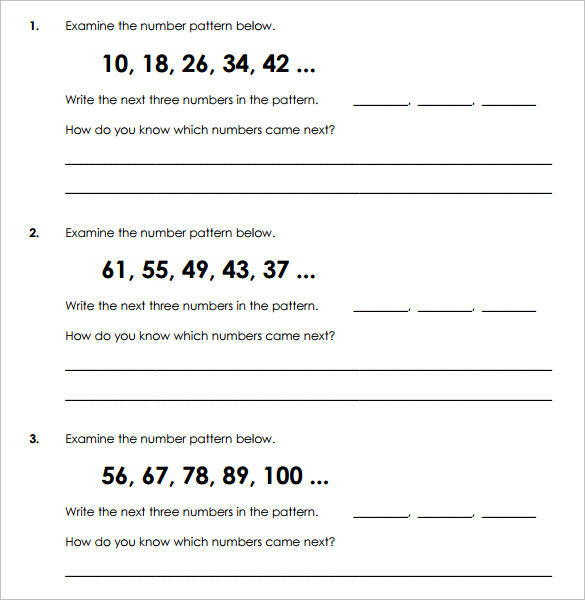 This patterning worksheet template is a perfect tool for primary students learning numbers. 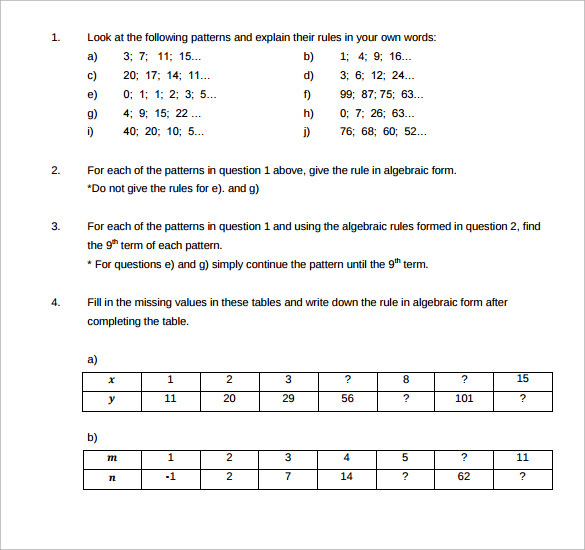 Whether you are a student or a teacher, you can download this template to get a clearer understanding of numbers and their sequences. As the students practice patterning with this template, they gain more expertise about the concept. 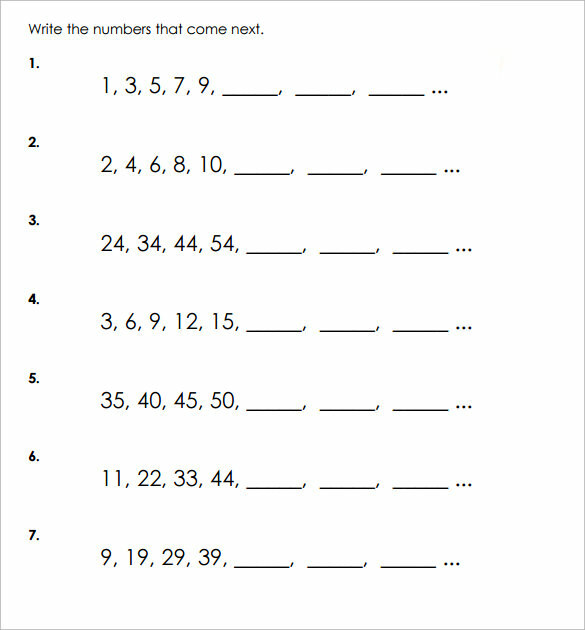 This is a patterning worksheet especially dedicated to teach students how to identify the sequence of numbers. It asks you to solve a pattern and then asks you to explain how to found out the next coming numbers. In this way, you will be able to get a clearer understanding of number patterns, and even explain it in words. 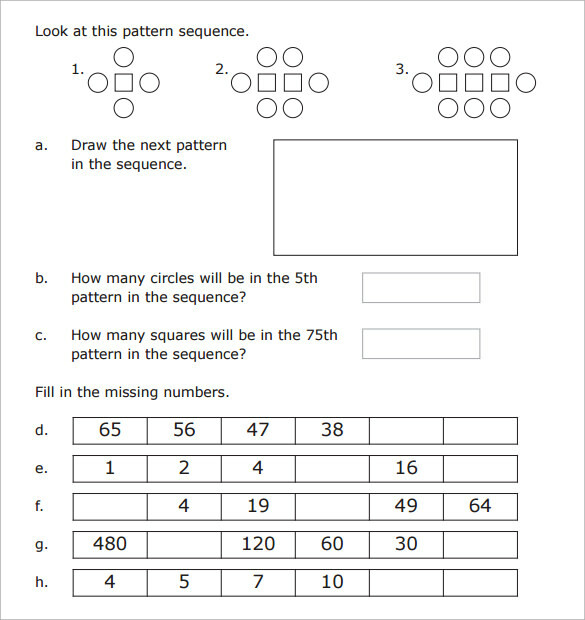 This is a perfect number pattern worksheet for primary school students. It has empty and filled up boxes containing numbers. You have to follow the instructions written with each pattern to fill up the blanks in it. 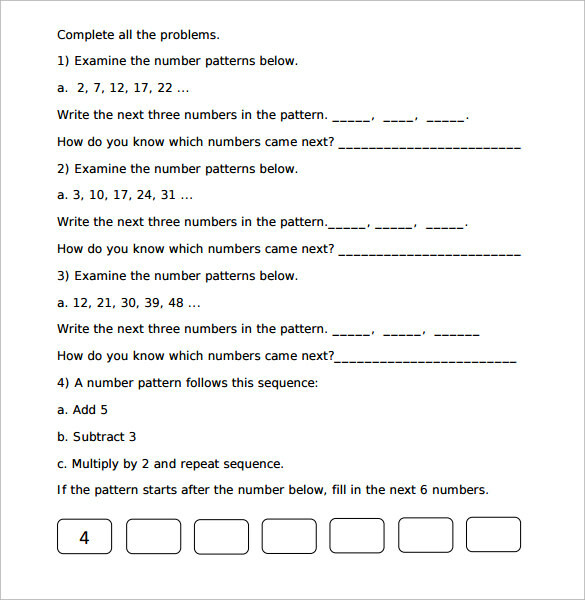 You can download and print these worksheets to make your children expert at number patterns. As far as logical thinking is concerned, one very important element is patterning. With the help of figures, digits and patterns, this patterning worksheet template helps in thinking logically and identifying their sequence. This patterning worksheet is easy to download and understand. 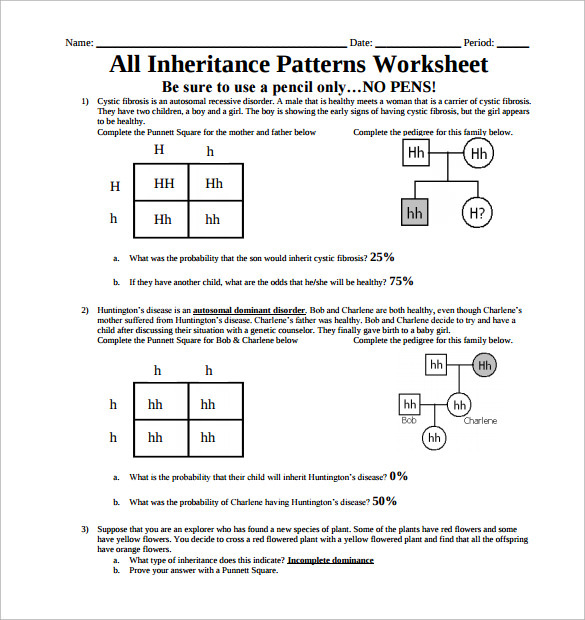 Why Do You Need a Patterning Worksheet Template? Patterns can be made in the form of numbers or pictures. With these, you can be able to teach your children more about patterns and mathematics. Patterning is one of the most common problem solving skills used in real life. They are present in the form of repetitive sequences and can be found almost everywhere. Download a patterning worksheet template of your choice, and see if you are able to spot these patterns in the correct sequence. You can also see Scientific Method Worksheets. 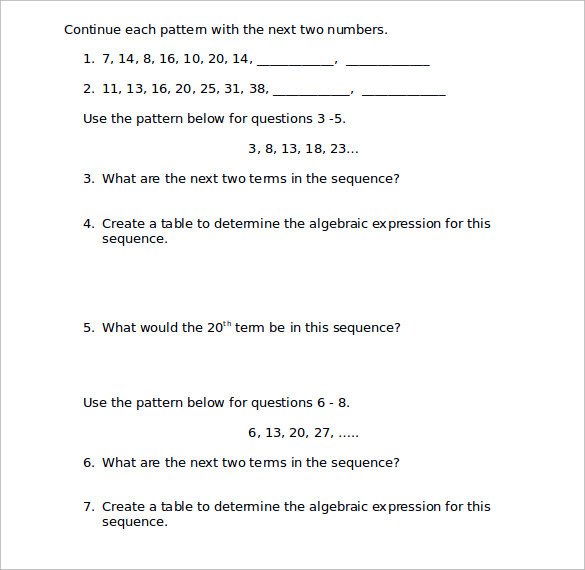 When Do You Need a Patterning Worksheet Template? You need to download a patterning worksheet template when you want to teach your students about number and image patterns. So, if you are a teacher, then you can make your students more familiar and comfortable with the patterning concept. 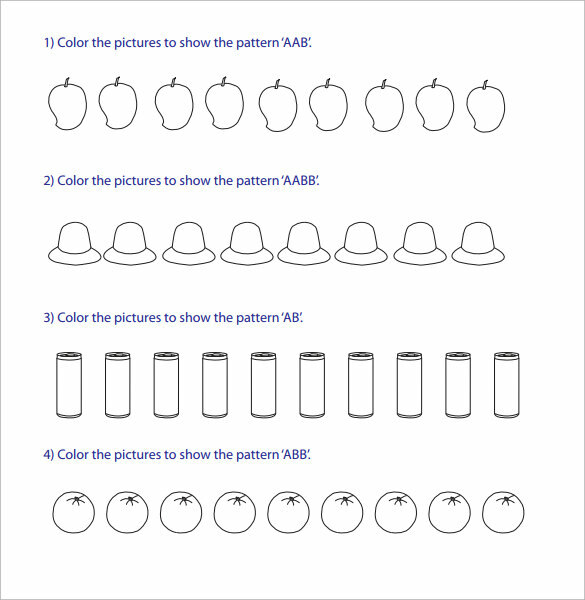 If you are a student, you may also download these templates and use them to practice patterning and gain expertise in it. So, if you want to practice patterning numbers and images, then these worksheet templates will definitely come to your rescue. The patterning worksheet templates available here are professionally designed, and prove to be extremely helpful in making you familiar with patterning. Whatever your skill level is, you will definitely find a template suitable for you. There are different types of patterning worksheet templates available here, which you can choose as per your requirements, preferences and skill grade. They are easy and fast to download, and can be completely customized as per your individual needs. You may also like Balancing Equations Worksheets. If you are studying Mathematics, then you must be introduced to the concepts of counting and patterning. Patterning is not easy, and it can be learnt only with proper practice. 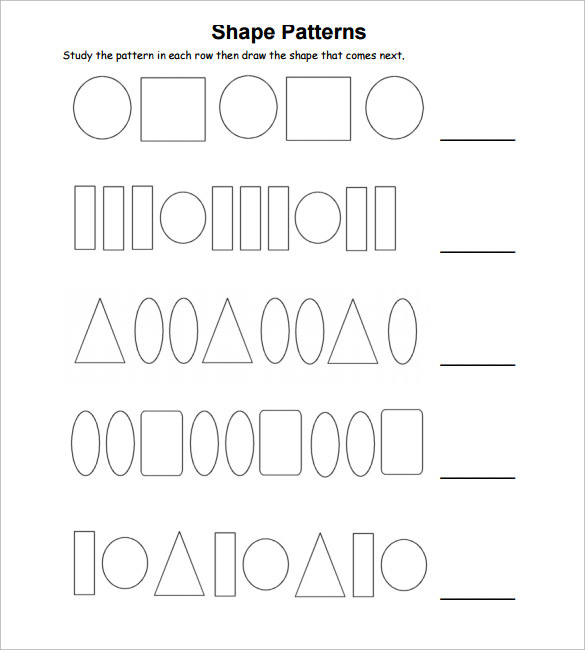 These patterning worksheet templates allow you to practice patterning as much as you want. With so many worksheets to work on, you can become an expert at patterning.